Take a look at this... A new street sign was unveiled in New York on May 18 2018, Haitian Flag day. 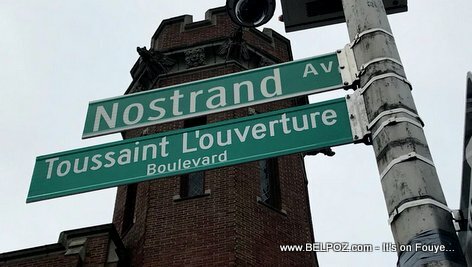 Nostrand Ave on East Flatbush, where it meets Newkirk Avenue in Brooklyn NY, is now Toussaint Louverture Boulevard. Studies show Flatbush has one of the largest concentration of Haitians in the entire country, News 12 Brooklyn reports.